One of the timeless great debates is over whether or not a person can have too much of a good thing. When it comes to vitamins, the jury has spoken: you can. Vitamins and minerals are required for survival. They assist your body in performing every necessary function, and when one of them is lacking, it can create health problems. For example, if you have an iron deficiency, you can become anemic. Low vitamin D levels are associated with all kinds of health problems, including cardiovascular disease, hypertension, type 2 diabetes, multiple sclerosis, cognitive impairment, and even cancer. There are countless studies that show clear associations between illness and low levels of vitamin D. And although it’s still unknown whether or not having a vitamin D deficiency causes these conditions, it appears to be a common denominator for people with poor health. But new research shows that people with elevated levels of vitamin D are also at risk of cardiovascular death. This is the first study of its kind to show an association between having too much vitamin D and death by a major cardiovascular event, like a stroke or coronary. There isn’t really a set amount for how much vitamin D a person should have in his/her blood. Some organizations say 20 nanograms per milliliter (ng/ml) is sufficient, while other organizations say that level results in a deficiency. According to the Vitamin D Council, 40–80 ng/ml of vitamin D in your blood would be considered a sufficient amount. According to a study conducted by scientists from the University of Copenhagen, the preferable level of vitamin D in their subjects was 70 ng/ml. People who had less than 50 ng/ml had a greater likelihood of death. On the other hand, people who had 100 ng/ml or more in their blood experienced the same likelihood of death as people with low vitamin D levels. And when numbers went above 200 ng/ml, the likelihood of death increased. According to the Vitamin D Council, vitamin D reaches toxicity in the blood at 150 ng/ml. And although this is very rare, it can lead to nausea, vomiting, and even kidney problems. It’s important to note that it’s virtually impossible to experience this toxic level of vitamin D through sun exposure or diet; it occurs only by the overuse of supplements. In order to get sufficient levels of vitamin D, aim for 20 minutes of sun exposure per day, eat a nutritious diet, and incorporate vitamin supplements when necessary. If you must supplement, don’t go too crazy. In order for supplements to become toxic, you’d have to take about 40,000 international units (IU) per day, which is difficult. The daily recommended allowance is about 600 IU, but that’s very conservative. The best way to learn what dosage is right for your body is to have your blood levels tested and consult with your doctor. Did you know that more than 60,000 instances of vitamin toxicity are reported annually in America? Fortunately, deaths rarely occur because people can simply stop taking supplements to bring their levels back down to normal. 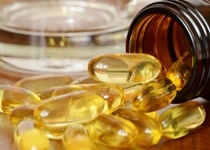 People often run into issues with vitamin supplements when they take them whenever they feel slightly ill. Some vitamins, like vitamin D for example, are fat-soluble vitamins. This means they’re held in fat stores and sit in your body longer than water-soluble vitamins. Taking too much of these vitamins can increase the risk of toxicity, so be mindful of what kind of vitamin you’re taking. Also, be aware that you might not even need supplements if you have an adequate diet! The fact that these products are “natural” doesn’t mean they can’t harm you. You can have too much of a good thing. Can This Vitamin Prevent Throat Cancer? The Results are in: Does Vitamin D Help with Depression? Vitamin D and Breast Cancer…Is There a Connection? University of Copenhagen, “High levels of vitamin D is suspected of increasing mortality rates,” Science Daily web site, March 10, 2015; http://www.sciencedaily.com/releases/2015/03/150310105222.htm. Rosenbloom, M., “Vitamin Toxicity,” Medscape web site, October 14, 2014; http://emedicine.medscape.com/article/819426-overview#a0101. “Testing for Vitamin D,” Vitamin D Council web site, 2015; http://www.vitamindcouncil.org/about-vitamin-d/testing-for-vitamin-d/, last accessed March 12, 2015.